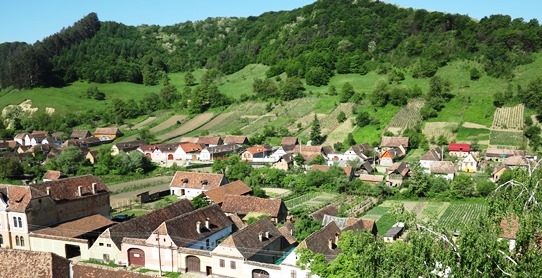 The Saxon villages of Transylvania are a GHF project, they’re attempting to preserve villages which have suffered depopulation and neglect since the fall of Communism in 1989. ▲ These beautiful little villages preserve not just medieval architecture, but a medieval landscape. They date from a time before hedges and fences divided fields and although you may see tractors and other modern farming equipment you’re just as likely to encounter horses and carts. ◄ The hard working German-speaking Saxons have had a tough time over the past century. 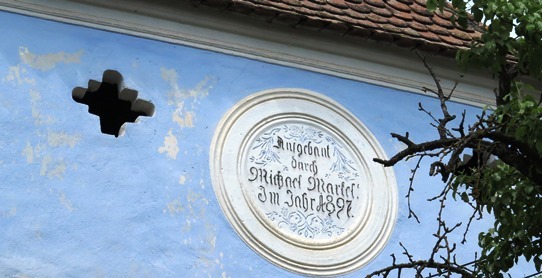 They arrived in Transylvania nearly 900 years ago, so they’re hardly new immigrants, but they’ve managed to retain their German-speaking culture for all those centuries. Things started to go wrong after WW I with the collapse of the Austro-Hungarian empire when Transylvania became part of Romania. 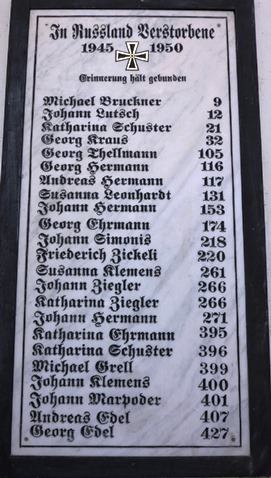 WW II also raged through Romania and memorials in Transylvanian churches list the death tolls from those conflicts. Worse was to come, in 1945 the conquering Soviets shipped every German-speaker between the ages of 17 and 45 off to Siberia to work for five years as slave labourers. Of the 200,000 who were shipped away only half would survive to return to their villages. 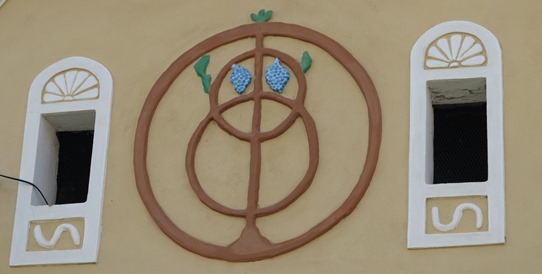 This sign in the church at Saschiz lists the toll, the number after each name is their house. ▲ From afar the villages are as handsome as ever, but the Saxons have gone. When Communism crashed and German speakers were offered the right to move to Germany the overwhelming proportion of the Saxon population voted with their feet. This is the village of Beia, we walked there from Halma, stopping for a rural picnic en route. ▲ The architecture and decoration in the villages is wonderful, this is the front of one of the Copșa Mare guest houses where we stayed. ▲ And the view over the village of Copșa Mare from the tower of the village’s fortified church. ▲ Many of the houses detail their construction year and original owner on the front or engraved on a roof beam inside the house. This is in the village of Viscri where Britain’s Prince Charles owns a house. ▲ Many villages are dominated by massive fortified churches where the villagers would retreat when threatened. The dangers included raiding Hungarian or Ottoman Turks. 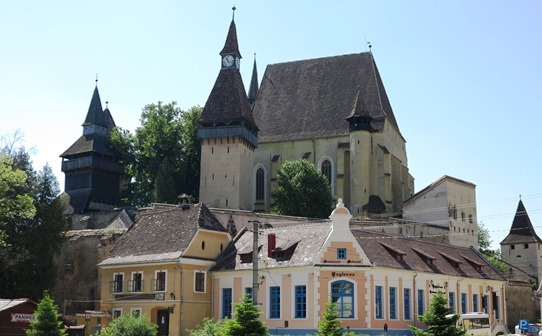 This is the fortified church in Biertan, a UNESCO World Heritage site. 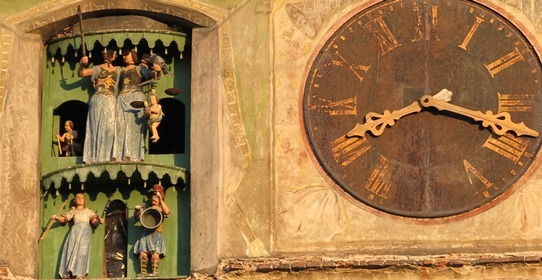 ▲ Sighişoara also features a solid fortified church with a particularly fine clock tower. ▲ Of course Transyslvania is also the setting for the Dracula story, the famous fictional vampire takes his name from the very real Vlad Țepeș, aka Vlad Dracula or Vlad the Impaler. He was not a very nice ruler, famed for despatching his enemies by impaling them, but his resistance to Turkish invasion made him a Romanian hero. In Sighişoara you can dine in the restaurant in the house where he was said to have been born. Depopulation, neglect and uninspired renovations have all caused damage to the beautiful villages of the Saxon region. GHF is working with local conservation groups to turn the tide and help to preserve some of the most beautiful villages in Europe.